One of my mantras for this new year is that it is the ‘year of me’. I know that sounds super cliche but I have neglected myself over the past year or so. With the whole infertility thing and other health issues, I think I just felt let down by myself and my body. So I didn’t treat it well, which just makes things worse. So making more time for myself, is a must this year. From hair to makeup, food, and exercise; I want it to be things that are good for me and make me feel better. Woah, that got deep quite quickly. But, joking aside, I do need to take more time for myself. 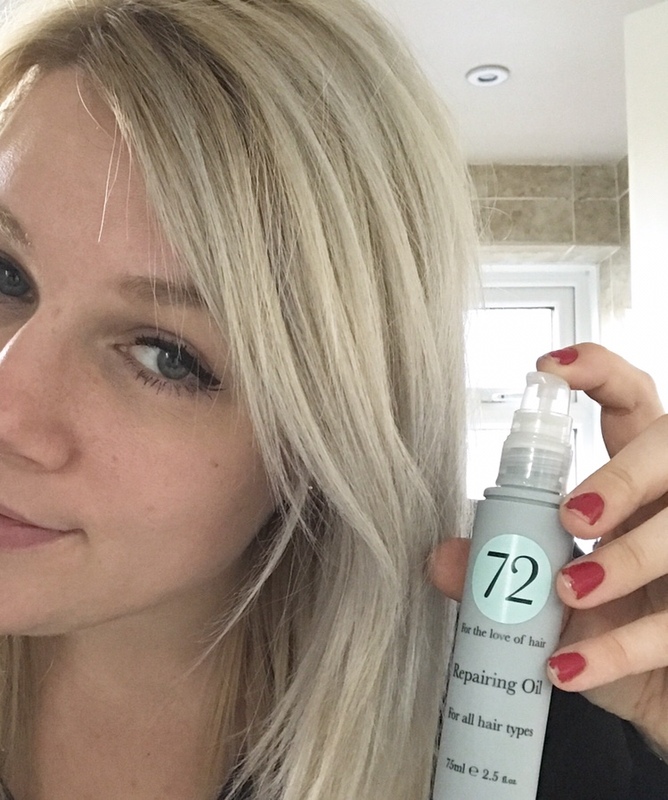 One new product I have been trying recently is from 72 Hair. I have been using their daily nourishing collection, which includes the Nourishing Shampoo (250ml), Hydrating Conditioner (also 250ml), and the Repairing Oil (75ml). The nourishing collection is designed for natural and colour-treated hair, so for me, having colour in my hair, I know it is designed with my hair in mind; it needs all the nourishing it can get! 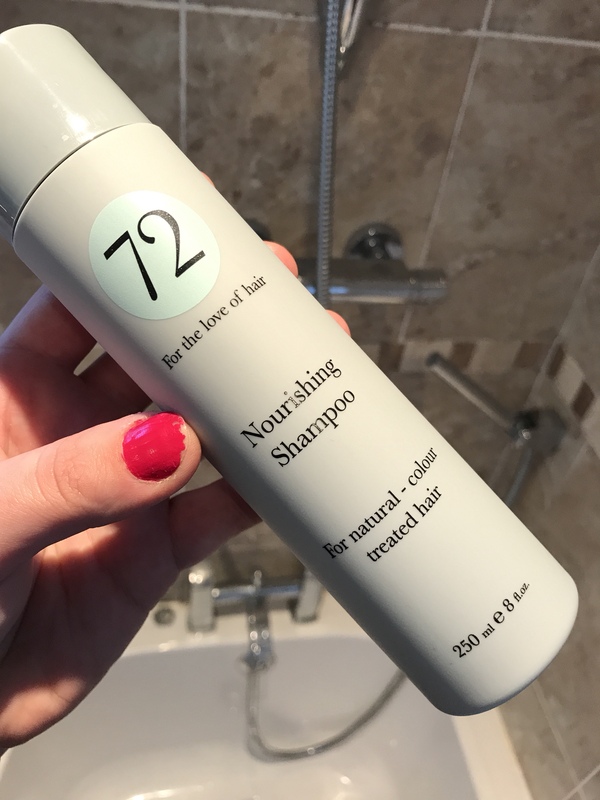 The Nourishing Shampoo is designed to add strength and moisture to hair, which is always good, particularly for me and my colour-treated hair that lacks moisture. 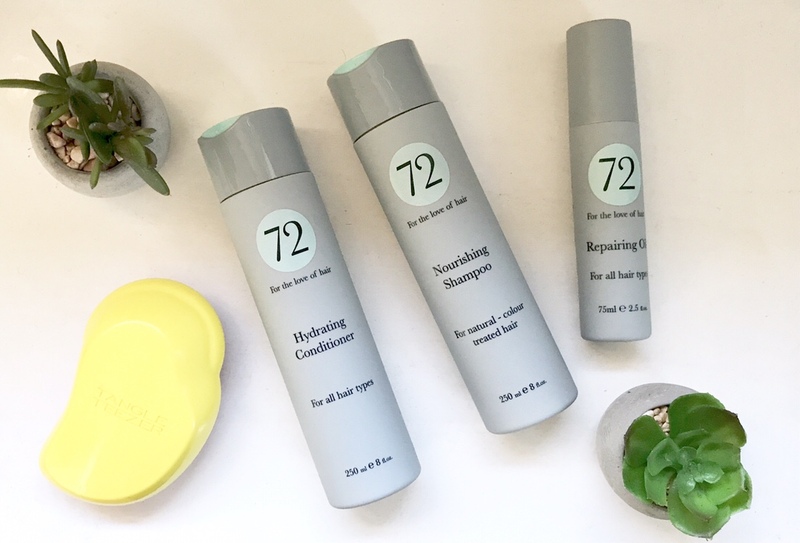 The Hydrating Conditioner is designed to do exactly as it says, as well as designed to protect hair against sun, pollution and UVA damage, which can dry out hair more than you think. Finally, the Repairing Oil is designed to eliminate frizz and make your look more radiant and glossy. I have been using these products on my hair for around two weeks now, and I have to say, I have really noticed a difference in the look and feel of my hair. I haven’t been using an oil or serum on my hair for a long time, so that has been a particular benefit, and it definitely does as it says in reducing the frizz on my hair. It leaves my hair feeling smooth, but not greasy, and it feels light but silky. So I have definitely noticed the difference in using the repairing oil. The shampoo and conditioner are pretty thick, and you don’t need very much (I have shoulder-length hair). They smell good and are easy to use too. The biggest difference I have found is when drying my hair after the shower. I generally blast my hair dry, and then go over it with straighteners when needed, and my hair has been less frizzy and much silkier when straightening; it takes hardly anytime at all now. So for me, it shows that my hair has improved in moisture and isn’t as dry. It takes a while to straighten when my hair feels dry a nd brittle. Though it would be hard to pinpoint it, I think the conditioner must be doing its job of protecting against pollution and sun-damage, and that has added to my hair feeling less dry. We do need to protect ourselves against the sun, even when its cold outside. 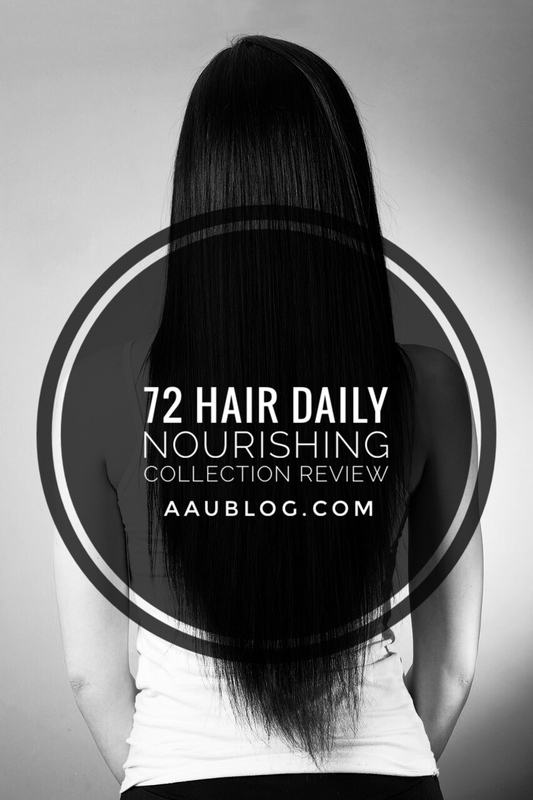 All in all I m really pleased with the nourishing collection from 72 Hair. I have seen some good results from using the products, and I think for what you get, it is pretty good value for money too (£37.98). Totally comparable with other hair products like it on the market. Looking at the taking care of myself point of view, I have enjoyed dong my hair more and minus the shampoo, the products don’t contain SLS. However, 72 Hair do make an SLS-free shampoo (the Intense Moisture Shampoo). I would recommend these products and will definitely look to buy them again myself. Have you ever heard of 72 Hair? Would love to hear what you think! *the items were gifted in exchange for review. All opinions are my own. I have never heard of this brand but it’s great that you’ve a hair product that you are pleased with as they are so hard to come by these days. Love your mantra for the year btw! These are great, I love it. My hair is so dry and moisture is not something that my hair does well, so this would be one I would use and love. I’ve never heard of 72 before before but it definitely sounds like something I should look out for. My hair is in good condition but frizzes up so much! Frizz is so tricky to get rid of this time of year, I hope these products work for you too! I’ve never heard of this before and have been dying my hair for the last 15 yearsso have a lot of damage. I’m naturally blonde but dye it black so need a good treatment now and again. I love the packaging of these products. 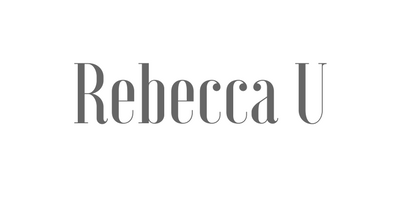 Super simple but so bold if that makes sense. You really do need to focus on you after the year you’ve had. You deserve it.